The Art Docents of Los Gatos will hold an art sale and fundraiser at the Los Gatos Art Museum showcasing works by the Art Docents (dates to be announced). Additionally, a boutique including prints, cards, bags and jewelry by local artisans will also be presented. A portion of the proceeds from the sales will be donated to the Art Docents of Los Gatos. Art Docents of Los Gatos are devoted volunteers working to enable our children to create a lasting, personal connection to art. They feed the need for creative expression in our schools. 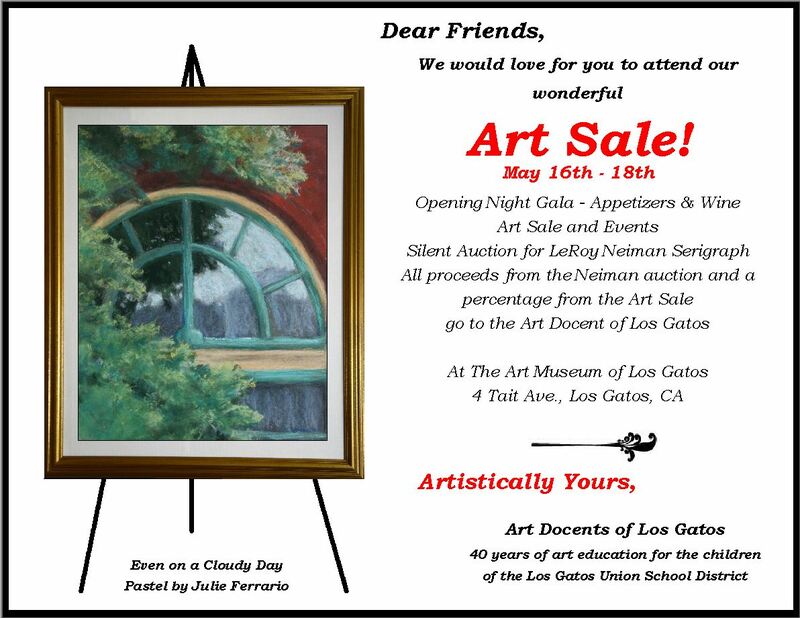 Join us at the Art Museum of Los Gatos and support art in Los Gatos schools.